After a great review and a referral form a close friend, we reached out to Ben with Green Valley Site Solutions for a quote on some work on our farm. It was easy to see why he is referred as he is very knowledgeable and personable. He had our back field (large incline) knocked out in half a days work, and we are more than pleased with the results. Ben has some heavy duty equipment, and made it look easy. They offer custom Bush hogging, land clearing, heavy duty brush cutting and mulching, spread rock and gravel, rough and finish grading, dirt work, metal fab. 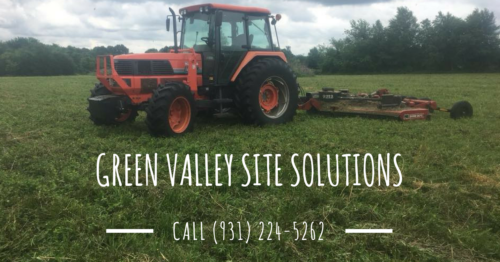 If you have some work needed done around the farm, give Ben with Green Valley Site Solutions.